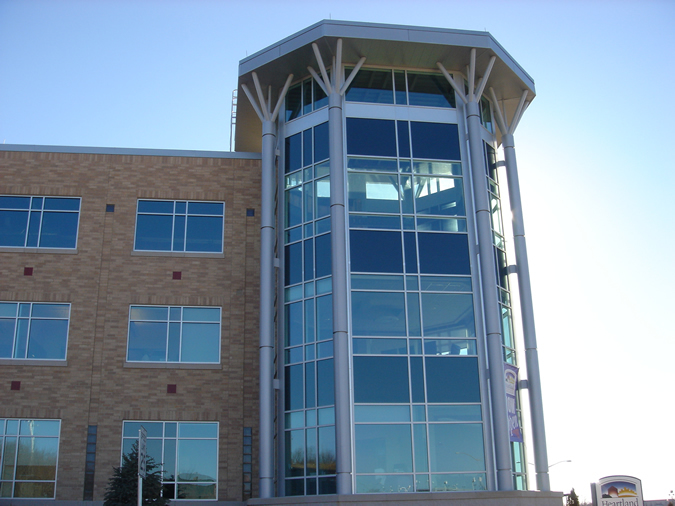 The Heartland Credit Union Project features several product lines designed and installed by Architectural Products of Wausau. APW was originally brought in after final bidding, to provide the building team with several Value Engineering alternatives for exterior cladding. 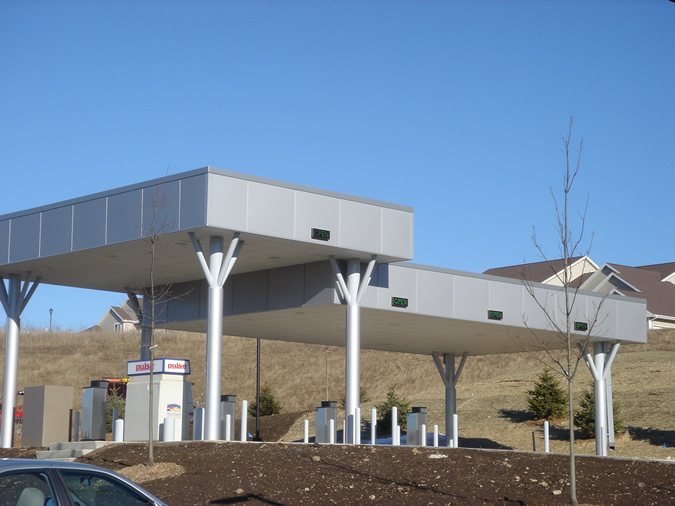 The team’s final selections included Dri-Design Metal Wall panels for the drive-thru fascia and clear-story soffits, custom aluminum plate column covers, and insulated metal panels around the mechanical penthouse. APW was able to provide complete engineering and coordination for all products from various manufactures including color matchers. 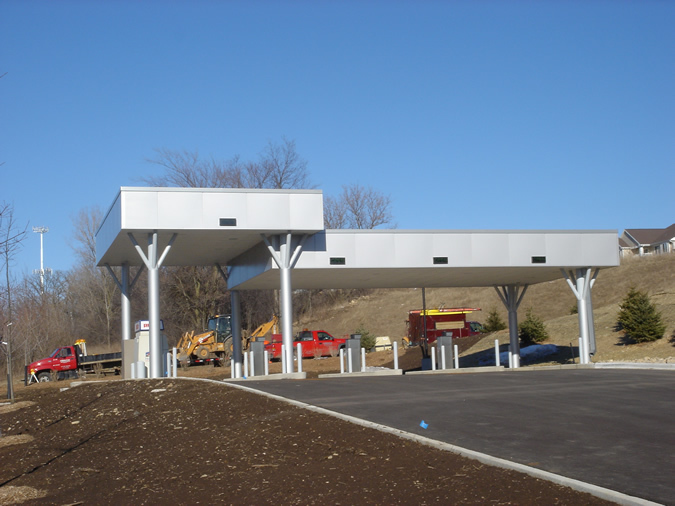 Â© Copyright 2013 Architectural Products of Wausau, Ltd.